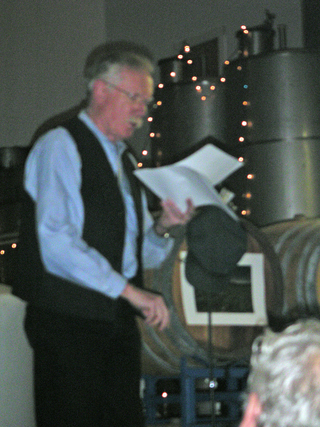 Ostensibly a fundraiser for the Educulture program that brings school children to the farms and local farm produce into the schools, the dinner really celebrated local farming. Many of the people I have interviewed over the last year and a half were there. Now the fields will either be put to bed for a couple of months, or planted in the crops that can overwinter - kale, garlic, and other hardy foods. Paul is the author of "One Seed to Another: The New Small Farming," which I am reading right now.